What can Babies Do? 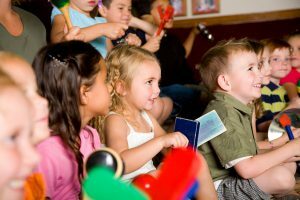 They can sing, dance, communicate, and learn, all through a variety of fun and age-appropriate musical activities. Develop memory skills and language and stimulate your child’s vestibular system. Most importantly, spend quality bonding time with your child in a nurturing environment with other music friends. Adult participation is required for this class. 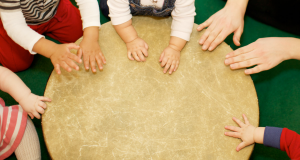 Sing, dance, play instruments, enjoy musical stories, and have fun learning with friends! This lively, age-appropriate class is the perfect start for young children. Visuals and adorable puppets help make the music come to life! 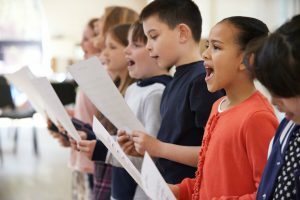 Children develop memory skills and language, timing, rhythm, pitch matching, and other musical abilities and in a nurturing environment with other music friends. Adult participation is required for this class. Join Beethoven Bear and Mozart Mouse as we learn to play piano, sing, read music, and develop musical skills and vocabulary in this delightful, imaginative class. 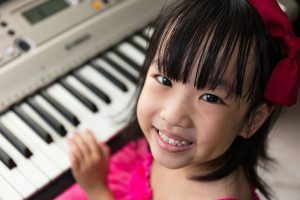 Children participate in a variety of fun, age-appropriate musical activities together with parents (or other adult) and music friends as they learn and develop a love for music making. In group classes, students learn the fundamentals of music in a fun, supportive, age-appropriate, encouraging group environment. This provides a solid foundation for later success in private lessons and ensemble playing. 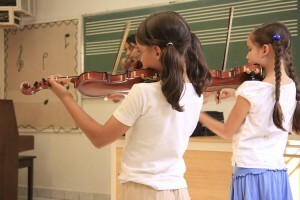 Teachers will introduce the fundamentals of music and the performance techniques needed to play an instrument. Ensemble playing and music games, are also incorporated in each class for more hands on interaction. Little School of Music offers private music lessons, semi-private music lessons, and group music classes for Homeschoolers. We are a vendor with: Inspire Charter Schools, iLEAD, SCVi, Gorman Learning Center, Sky Mountain Charter School, Summit Academy, among others. Homeschool funds may be used at Little School of Music according to the approved Homeschool allocation. Please contact us for more information on Homeschool music classes.